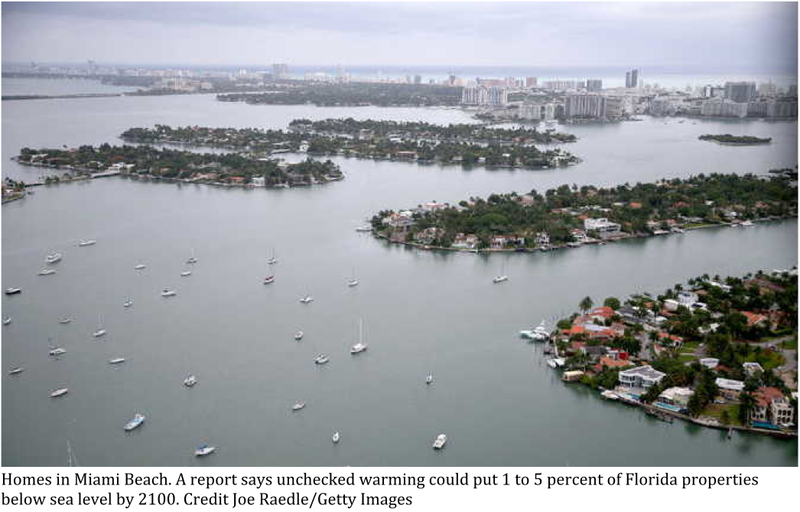 A new study dispels the notion that Climate Change will be slow and progressive, and that humans will be able to adapt. .
“We’re in danger of handing young people a situation that’s out of their control,” said James E. Hansen, the retired NASA climate scientist who led the new research. The findings were released Tuesday morning by a European science journal, Atmospheric Chemistry and Physics. Read the New York Times article here. It is a strange irony that people will cue up by the millions to watch Apocalyptic movies such as Jupiter Ascending, Mad Max, Terminator Genisys , San Andreas, or Apocalypse, all of which with an end-of-the-world theme, yet when faced with the depressing reality of global warming’s effects on our planet, they somehow tune out this reality, or become apathetic out of a belief that their contribution would be insignificant in the face of all that needs to be accomplished. Why? Why are people so complacent as the din of scientific facts has built to a crescendo over the last 25 years? Is the reality of catastrophic change too scary for people to fathom for longer than a few hours in a darkened movie theater? Is it because it’s human nature to worry about what is at hand, not what is a decade or two in the future? Actually, climate change is at hand. We are seeing its various effects throughout the world: changing weather patterns, droughts, floods, super storms, rising sea level, dying eco systems. Climate change may not be happening to everyone everyday, but there’s ample evidence of climate change if anyone cares to pay attention. Is it because a movie can manufacture a happy ending? Whereas climate change promises nothing but upheaval in the food and water supplies, calamity in the weather patterns, social and financial chaos, and the death of millions of people and the majority of the species on this planet? Well, actually, there could be a happy ending. The planet, or more specifically the world as we know it today, could still be saved for future generations. But only of we start acting now— immediately, forcefully and dramatically. If Apocalyptic movie buffs went in the same numbers to protests, raising their voices to communicate their concern about how climate change is destroying our planet, these protests would be extremely well attended, and would finally draw the attention of our of complacent politicians. We can clearly see that climate change is irreversibly changing our world NOW, and we only have a very brief window of time when things can be done about it. 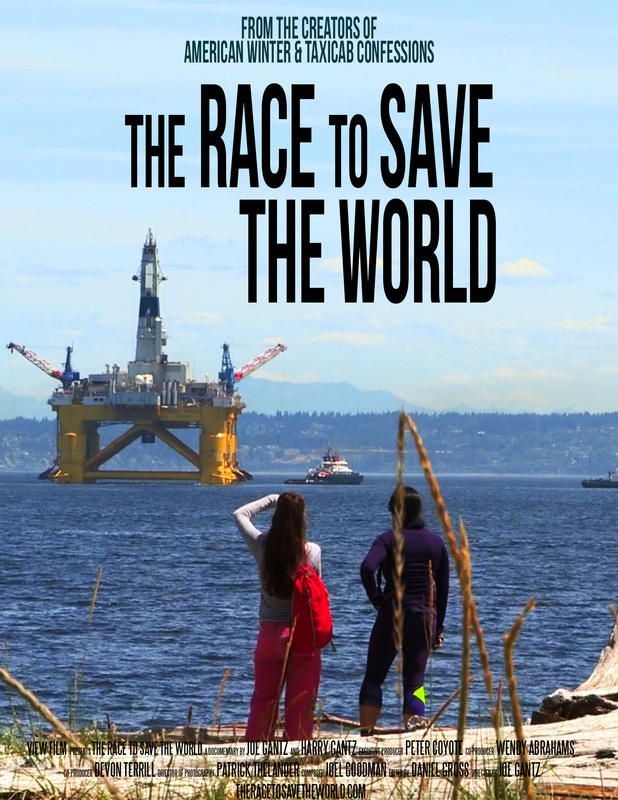 The Race To Save The World is a film that can light a spark under the growing number of people who are frustrated and angry about climate change, yet believe that their personal contribution to changing these enormous global impacts would be insignificant. We want to make a film that helps tip the balance towards reaching a critical mass of people willing to go to the mat to try to stop climate change. The Race To Save The World shows scientist, activists, parents and ordinary citizens who are confronting the silence around climate change. This in turn will inspire and empower viewers to make their own voices heard. We are halfway finished with production on The Race To Save The World and need funding to bring it to the finish line. This is truly a race against time. There is just a heartbeat of time, perhaps fifteen years, left to truly turn things around to create a livable world for our children and future generations. And the sooner this film is made, the sooner we can help inspire people to act. The Race To Save The World is a film about people of all ages and backgrounds who are willing to draw a line in the sand and say “we understand what’s at stake and we will do everything we can to fight climate change, because there’s no other alternative but working tirelessly to save life on this planet.” The Race To Save The World is about those committed to fight climate change as if the future of the world depended on it. Which, in fact, quite simply, it does. In an interview on HuffPost Live, Mark Ruffalo points out that there have been virtually no changes in policy, deep water drilling regulations, or cleanup procedures in the 4 years since the devastating BP oil spill. Take a look. Could this be the beginning of an explosion in electric car innovation? 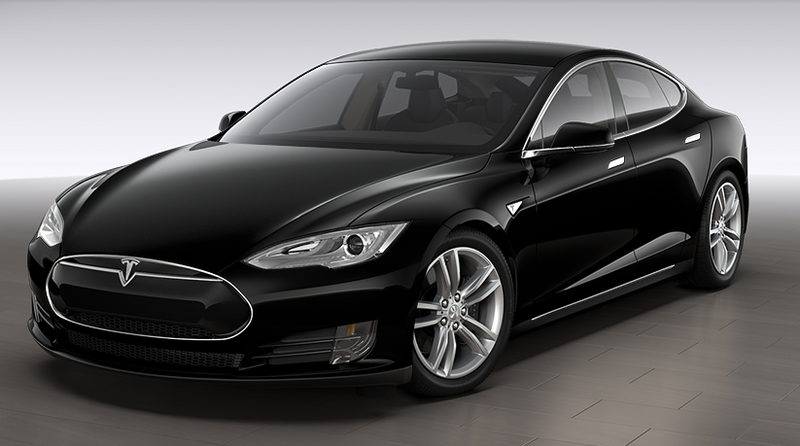 Tesla Motors can’t build electric cars fast enough to address the carbon crisis on their own, but their decision to release the patents for their electric vehicles opens up a whole new world of possibilities. Read the article here. 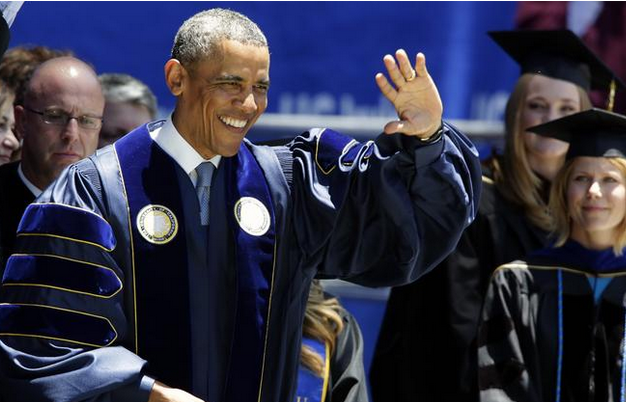 Obama didn't mince words at his speech to UC Irvine graduates on Saturday. Urging them to combat global warming and not be swayed by 'a stubborn status quo', he argued that rather than killing jobs, tackling global warming will trigger economic opportunities like the space race did in the Kennedy era. "When President Kennedy set us on a course for the moon, there were a number of people who made a serious case that it would be too expensive, that it would take too long," he said. "But nobody ignored the science. I don't remember anyone saying the moon wasn't there, or that it was made of cheese." Take that, climate-change deniers! Read the Los Angeles Times article. In support of Obama’s new carbon reduction plan, Americans United for Change released this video yesterday pointing out the disturbing insistence by so many high-ranking Republican leaders to deny man-made climate change. They all argue that there is no problem at all or that there is absolutely nothing we can do to stop it. With 97% of scientists in agreement on this issue, how long will this rhetoric continue before it just becomes absurd? 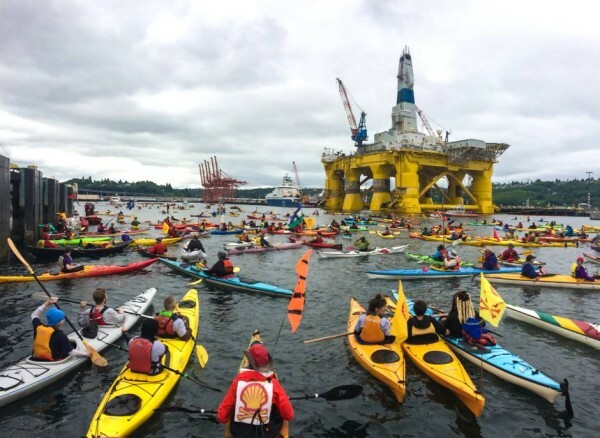 Read the article on ecowatch.com here. 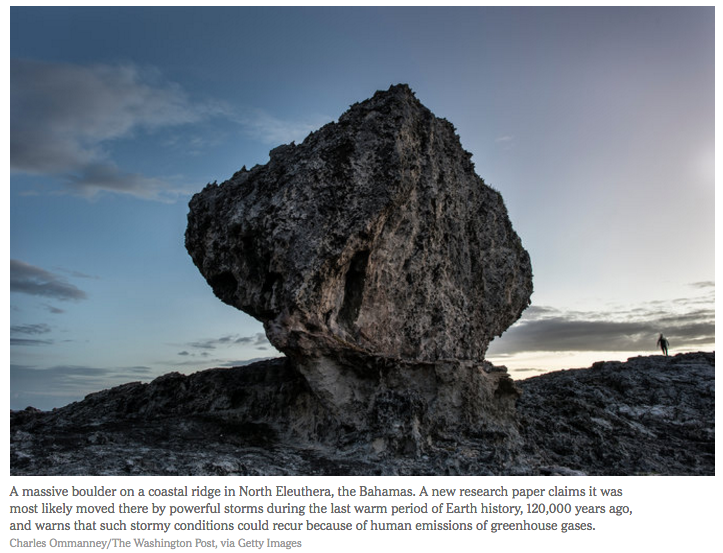 Paul Krugman connects the dots between the latest research showing a point of no return for the melting Antarctic ice sheet and the GOP’s deepening dogma on climate change denial. Read the New York Times article here.